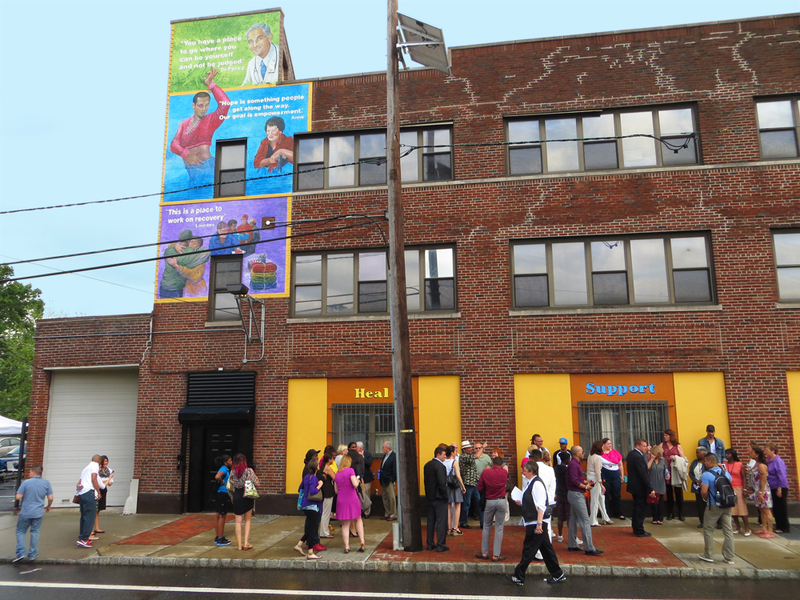 Created with an organization dedicated to empowering clients by reducing social and health disparities in the greater Newark area, Steps depicts stories of clients and staff on the exterior of their building. 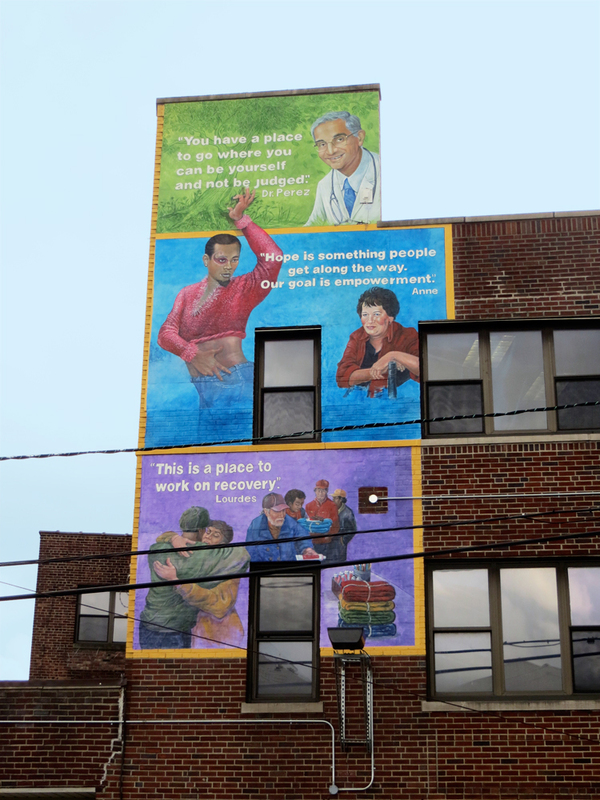 The North Jersey Community Research Initiative (NJCRI) is one of New Jersey’s largest and most comprehensive HIV/AIDS community-based organization, and hosts programs including Project WOW, a drop-in center for LGBTQ youth. 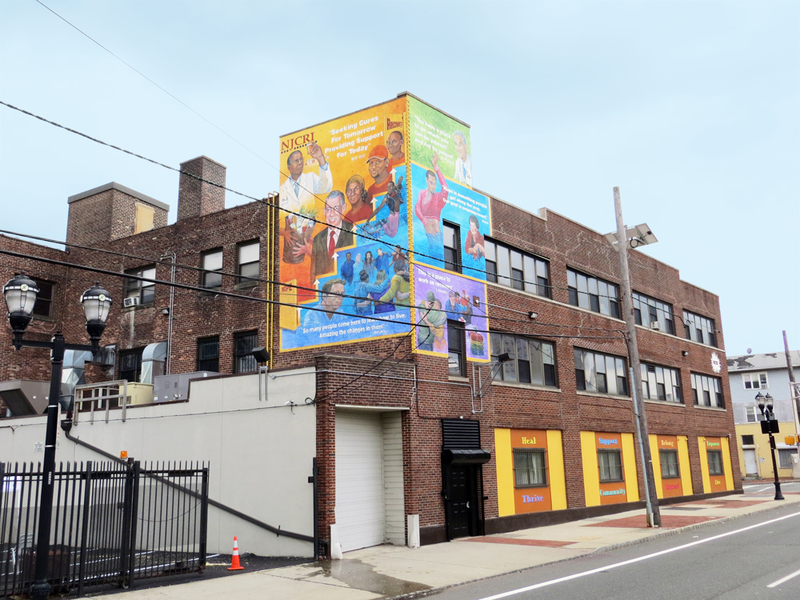 This mural helps tell their story to their city, and the city’s story to itself. 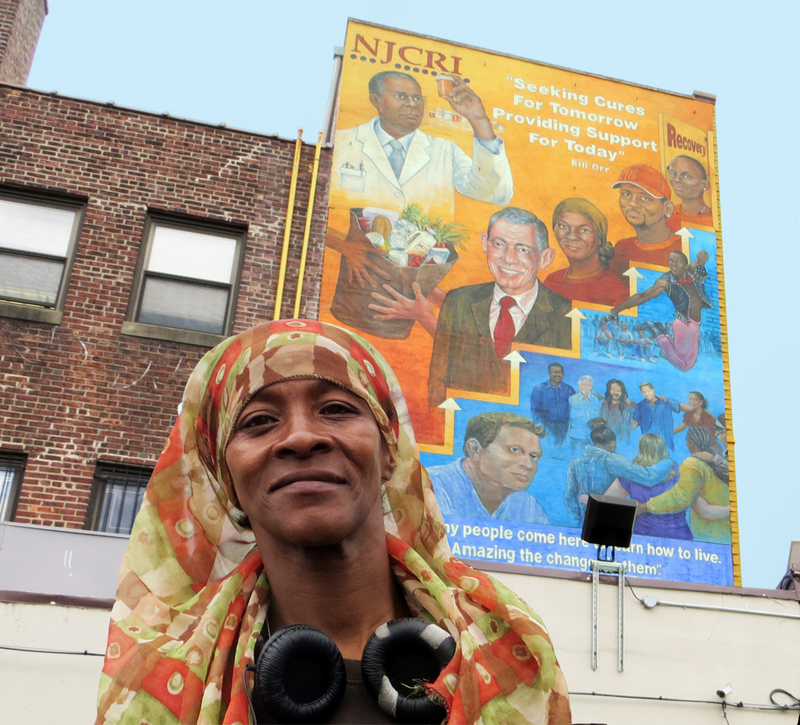 This is Newark. 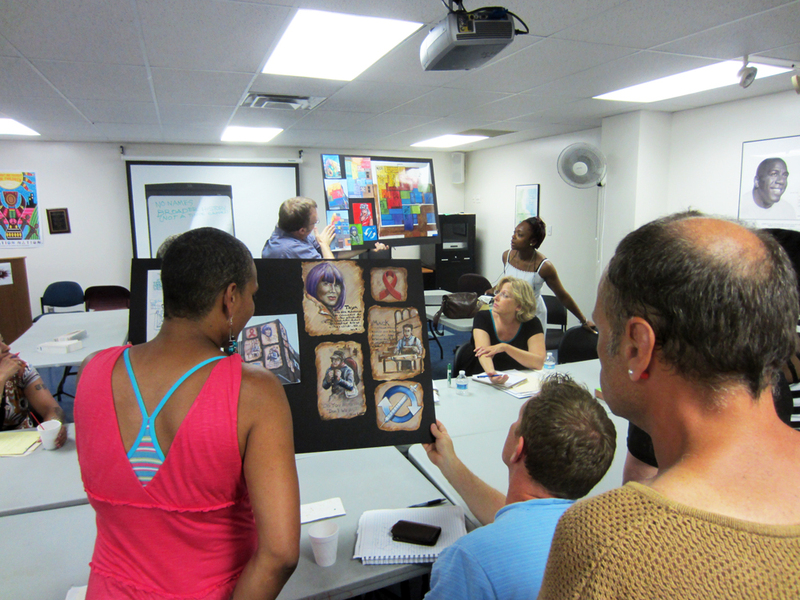 Artists Kerry Dennehy and Sue Daly, Art Administrators Chandri & Gary Barat of the Barat Foundation, and Newark Public Art Program Director Damon Rich worked with NJCRI stakeholders to identify stories and people as source material for the mural. 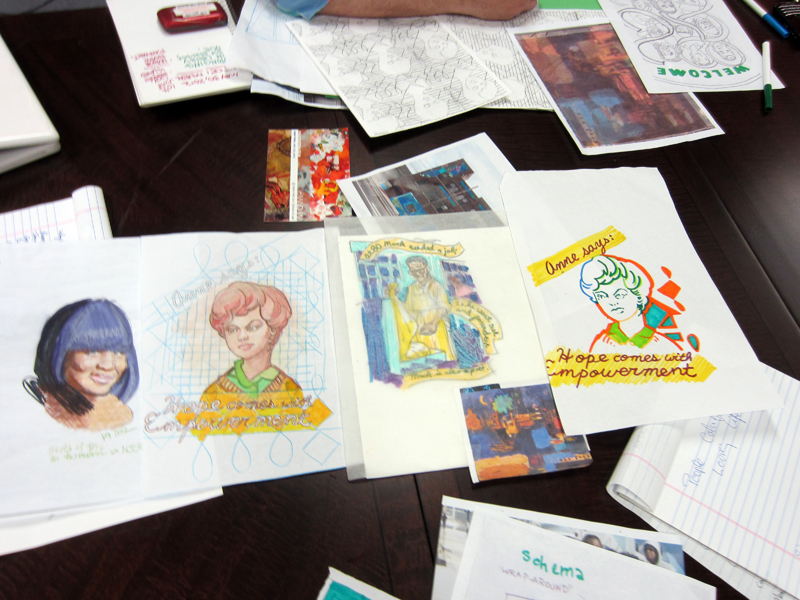 The artist team, Rodney Gilbert, Pat Huizing, and Jackie Cruz of City Without Walls, and Newark Public Art Program Manager Perris Straughter brought the project to realization. 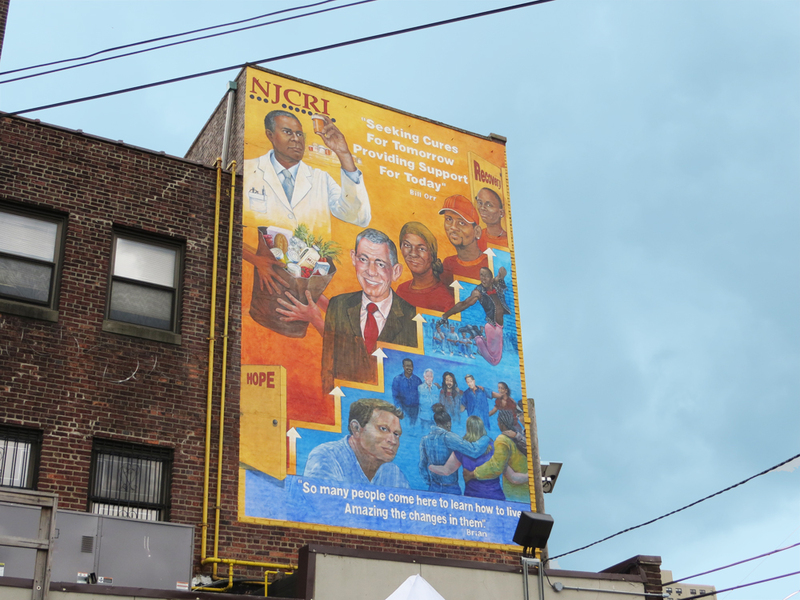 This entry was posted in Newark Murals. Bookmark the permalink.